There are some foods that are so nice to have someone else prepare for you. For me that food is applesauce. I ordered a case of Woodstock Farms applesauce and have used it for about six months. Beck loves it. It saves money to buy a whole case and then you have plenty for quick snacks and baking. Applesauce is a great replacement for syrup when you’re serving your wee one French toast or pancakes. Beck likes to dip his food, so I just put some on his plate and he dips his pancakes in it. Mixing the applesauce with some Nancy’s Organic Whole Milk Yogurt makes a great snack, breakfast and dipping sauce for toast or pancakes. You may have heard all the recent controversy about the plastic in baby bottles (and many of the plastic food containers used in our country.) http://www.chej.org/BPA_Website.htm So, when I started cooking for lil’ Beck I was thinking about how I would store and carry his food. 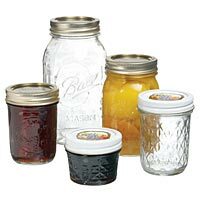 Josie, who used to work for LHG, passed down her tip– Mason Jars. So that’s today’s “Green Baby” tip. If you don’t have a baby, don’t want a baby, or don’t like babies, I suggest you skip this post…. 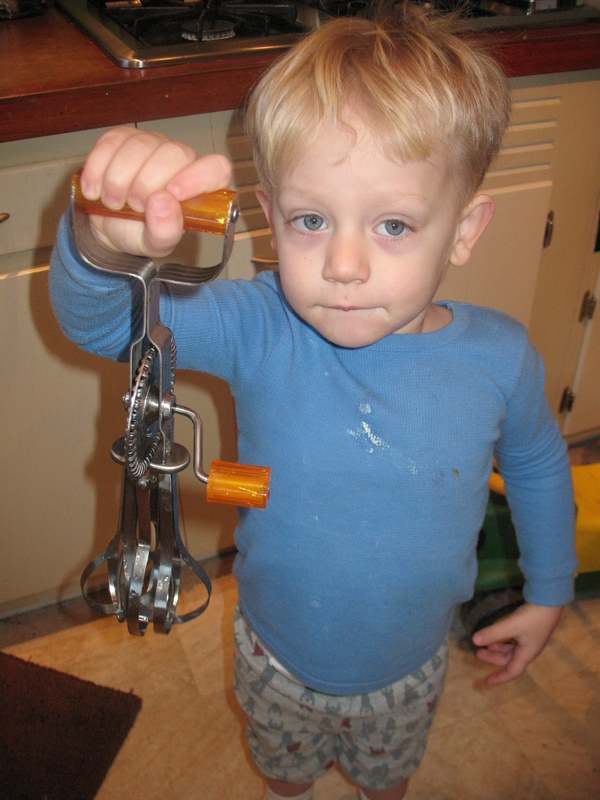 So I wanted to do at least one post on cooking for wee ones. Jason and I have a 19 month old. It has been pretty important to me to cook most or all of his food. At times it has been quite a challenge–and during those times I’m thankful that I feel really good about the prepared foods we carry at Local Harvest. Anyway, we have lots of foods which are great for first foods for baby and for the growing toddler. 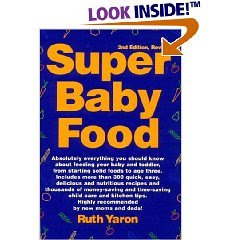 The book “Super Baby Foods” is a great resource for how to prepare your own infant cereals and “super” foods for the wee one. We carry many grains which you can grind for your own infant cereals–millet, barley, oats, rice and quinoa. The author also suggests add in’s like Brewer’s Yeast, tahini, and almond butter. I don’t agree with everything in the book, but found the authors suggestions on making “super porridge” and storage of fresh foods to be really helpful. If you’re not feeling quite so ambitious, we carry Earth’s Best infant cereals, organic baby food in jars, applesauce, and one of my favorite processed foods that I give to lil’ Beck–Dr. Praeger’s Spinach Pancakes. I can read every ingredient and even know what they are. Yea. Other great foods for kids (who are eating dairy) Farmer’s All Natural Creamery cottage cheese, Nancy’s whole milk yogurt, Nancy’s kefir, and the ever easy organic frozen veggies. For any of you moms and dads who are interested in making your own baby food, I’m always happy to chat about it and give any suggestions I can. Post or come into the store. I’m constantly learning as a parent and as a cook for a wee one so if I can help or commiserate I’m happy to do so. Also, we’ll soon have a kid’s menu at the cafe. In the meantime, feel free to ask for mini-smoothies for your little one. So good and good for them. You won’t find any syrups in our smoothies. Only real ingredients. Yum.